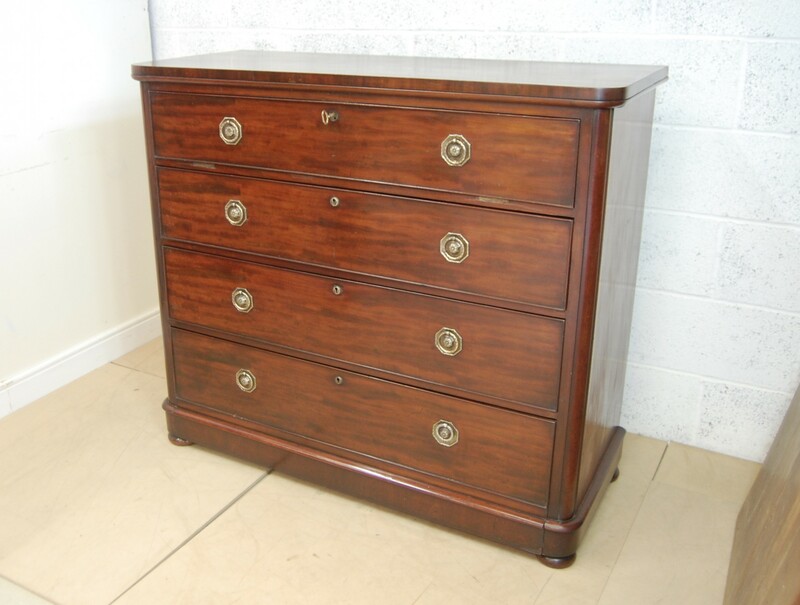 Fine and unusual Georgian mahogany gentleman's chest of drawers. 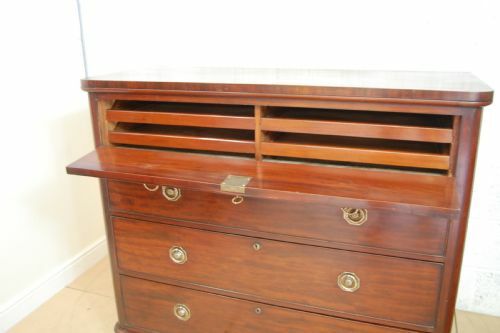 4 drawer with drop ring brass handles, top drawer will fall front to reveal 4 individual trays for gents accessories ties etc then 2 conventional drawers but bottom drawer full depth. 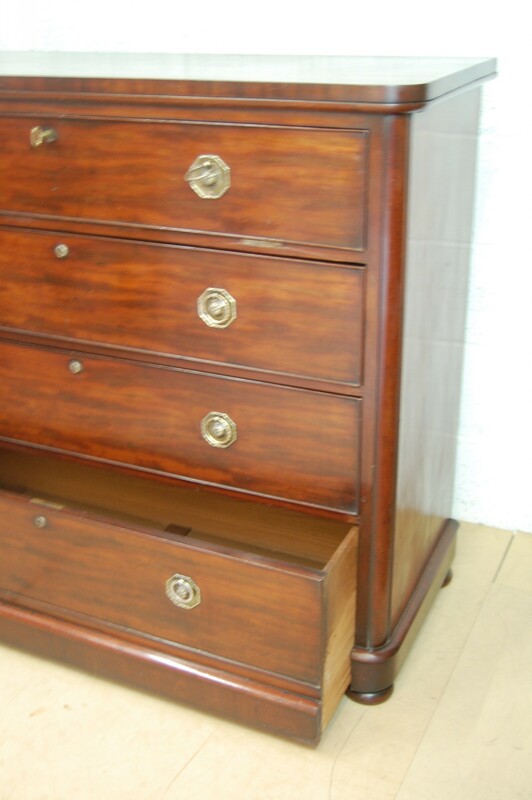 Great colour and condition. 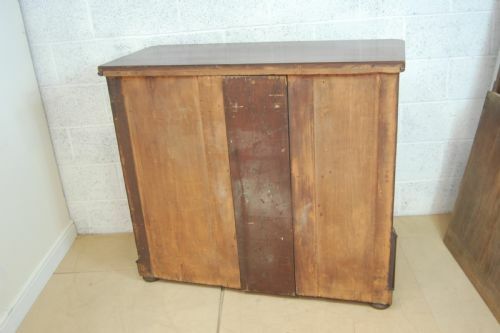 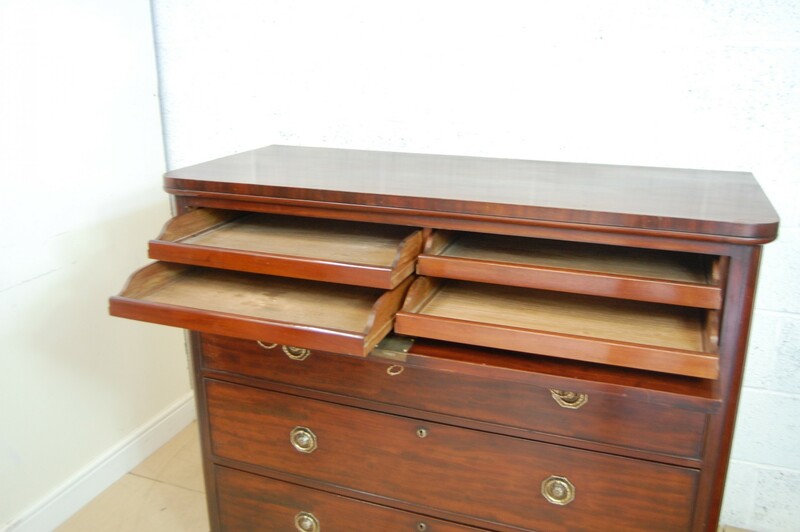 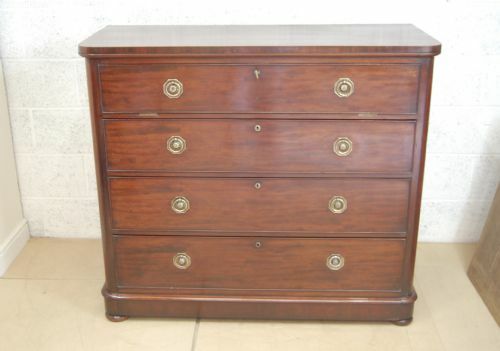 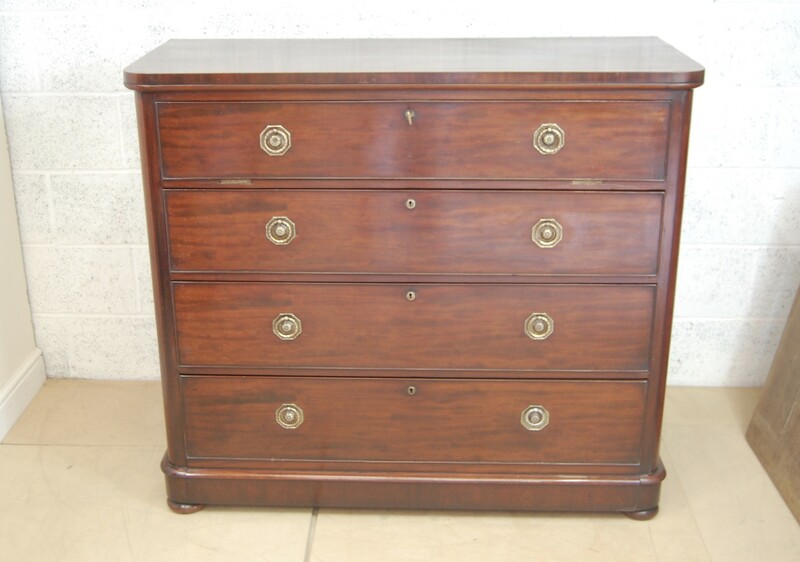 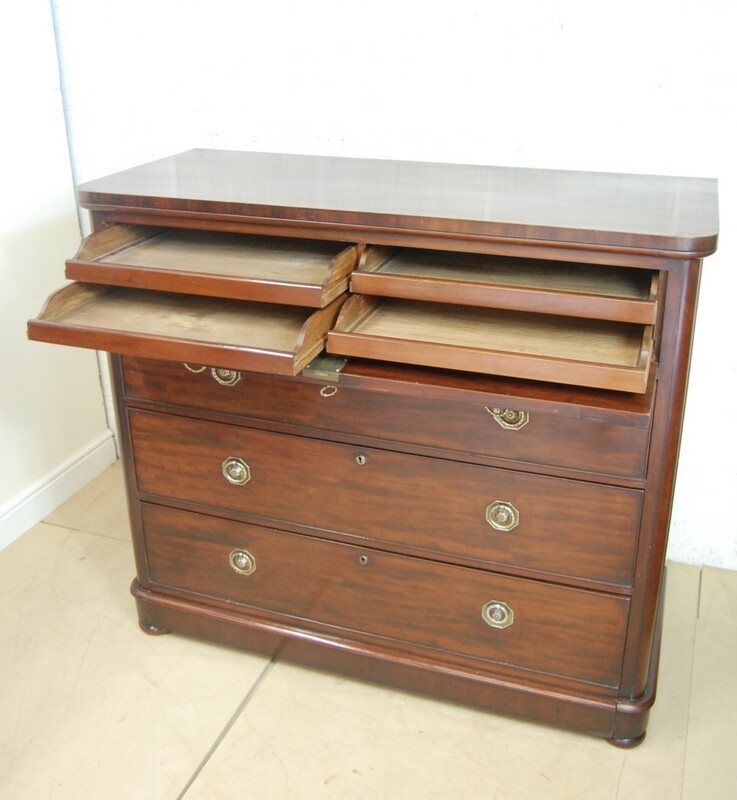 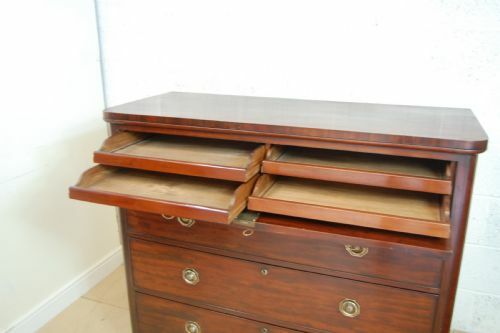 The Georgian Mahogany Gentlemans Chest Of Drawers has been added to your saved items.